Some Brisbane dog lovers may already be familiar with the dog walking services offered by Jogs for Dogs where your pampered pooches can be taken on bush walks or swimming in creeks - whilst you’re hard at work paying for it all! Following customer demand the company also started offering pool party play dates where the emphasis is on socialising and playing rather than exercise.This led them to the discovery of the “One Dog One Bone” dog pools for their own premises and they got quickly inundated with enquiries, asking where you could get your hands on this fabulous design. So they decided to create a second venture called Dog Pools and now import these directly from the manufacturer in the USA. Apart from its funky bone-shape design (this finer point might be missed by your dog) this dog pool is also hard-wearing. Running dog parties regularly, some particularly cheeky dogs have tried to chew it up (Staffies anyone?) and heaps of big dogs had a great time using their sharp claws “digging” like mad in the water, usually around the corners. 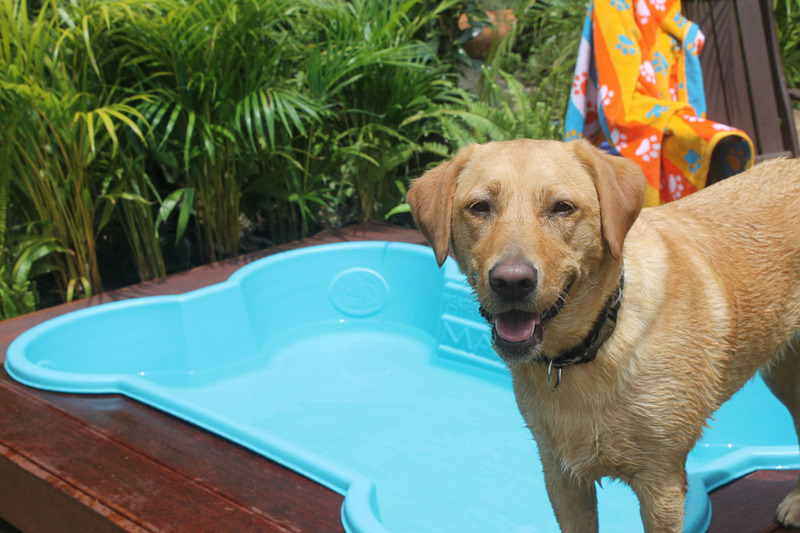 With one of the hottest summers on record, it is not surprising that their first shipment of dog pools is selling very fast but you may be able to snap up one the remaining models for your dog(s) to enjoy splashing about this season or you can start planning early for next summer! 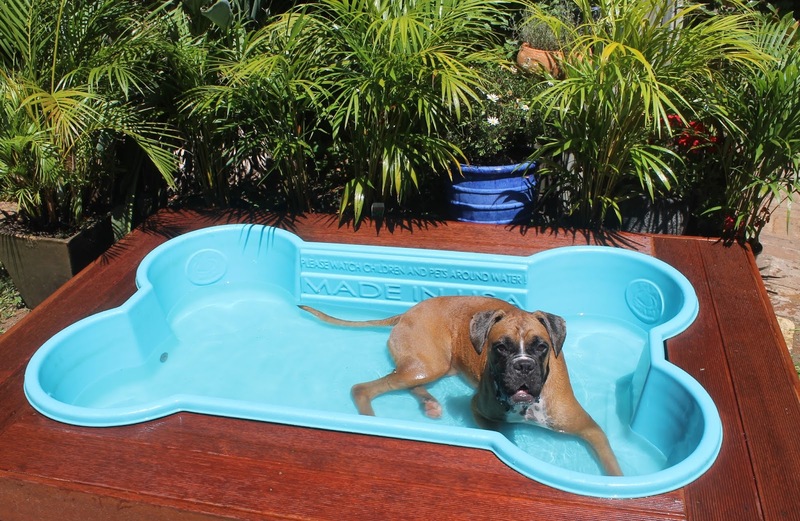 Brisbane residents already have the option to integrate their dog pool in a custom-made pool deck and the company is currently working on a new kit-set design to allow for easier shipping interstate. Available in 4 colours: Blue, Pink, Sand, White.